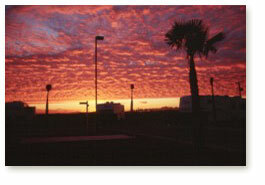 to travel the scenic tours of the Stoness Guide Books. 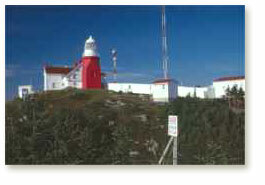 The Twillingate area of Newfoundland has a lot of attractions. One of the most famous is the lighthouse, which is perched on a high cliff. Views of the ocean breaking against the shore, far below, are excellent. Big trucks are necessary in the mining industry. 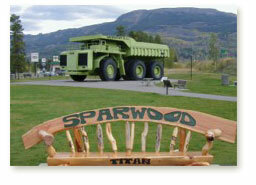 Here, in Sparwood, British Columbia, is a really, really big truck, that was used for coal mining. 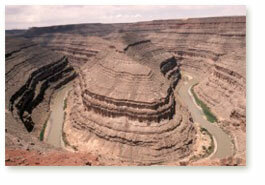 The Goosenecks of the San Juan River are quite amazing. It has been suggested that the river, trapped in what geologists call an 'entrenched meander' has to travel about 6 miles to make 1 mile of progress. 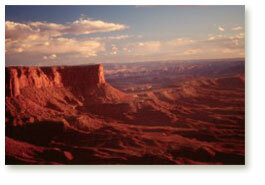 Canyonlands National Park in Utah is well know for its desolate canyons, and vast mesas. 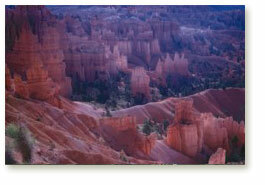 It is the source of some of the best in plateau and canyon scenery. Here is a view overlooking the Green River as the sun flames the canyon walls. Bryce Canyon National Park is Utah is not really in a canyon. The amphitheatres, which contain the unique figures, are eroded from the side of a mesa. Depending upon the amount of moisture on the rocks, and the time of day, the colours will range from dull browns to perfect soft, pastel colours. The Blue Ridge Parkway has several historic sites. 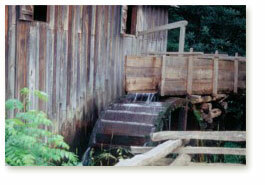 Here, is a well preserved old mill. Joshua Tree National Park in California has several scenic attributes. 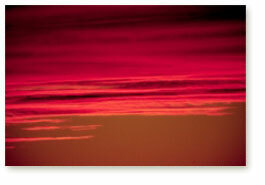 Some of the best include its remarkable sunsets. The Sunlight Basin area in Wyoming is the site of the slippage of very large landmasses along a fault lying on the west side of the Beartooth Range. 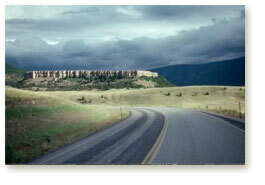 Here small mountains have slid from their source near Cooke City, as much as 60 miles towards the plains to the east. Here, Antelope Butte, one of the small chunks, makes an attractive photo.